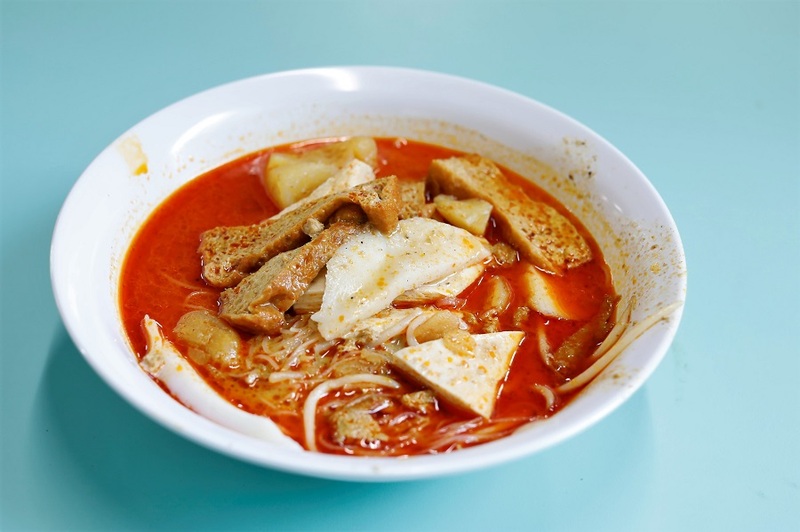 If you are looking for Curry Chicken Noodles, your best bet is at Hong Lim Food Centre. Cantonese Delights (#02-03) also serves up Curry Noodles with crispy chicken cutlet, but theirs is a different style all together. 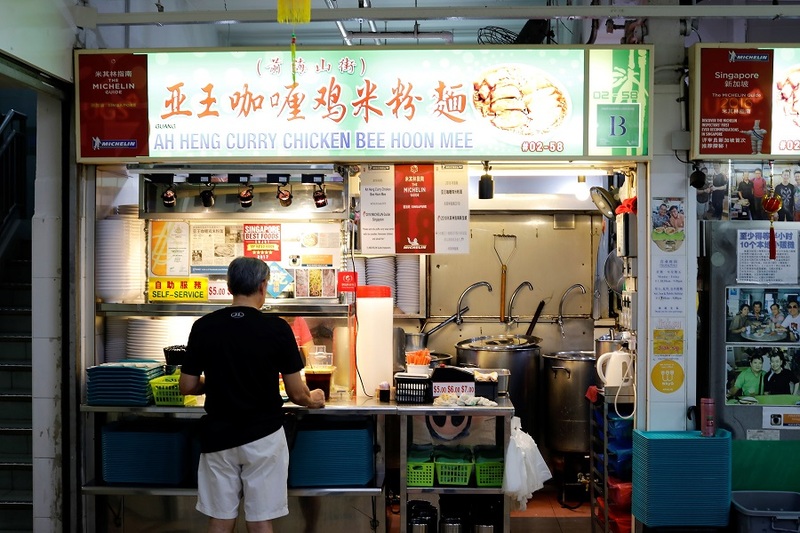 Built in 1978, renovated in 2009 and 2018, Hong Lim Market and Food Centre is the first hawker centre in the Chinatown area. 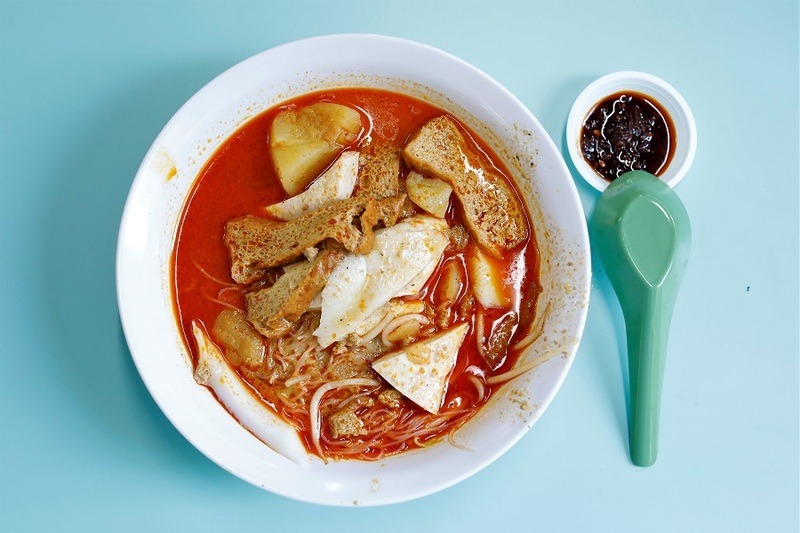 Some of the other popular stalls that can be found there include Ji Ji Wanton Noodle Specialist 基记面家, High Street Tai Wah Pork Noodle, Outram Park Fried Kway Teow Mee, and Famous Sungei Road Trishaw Laksa. 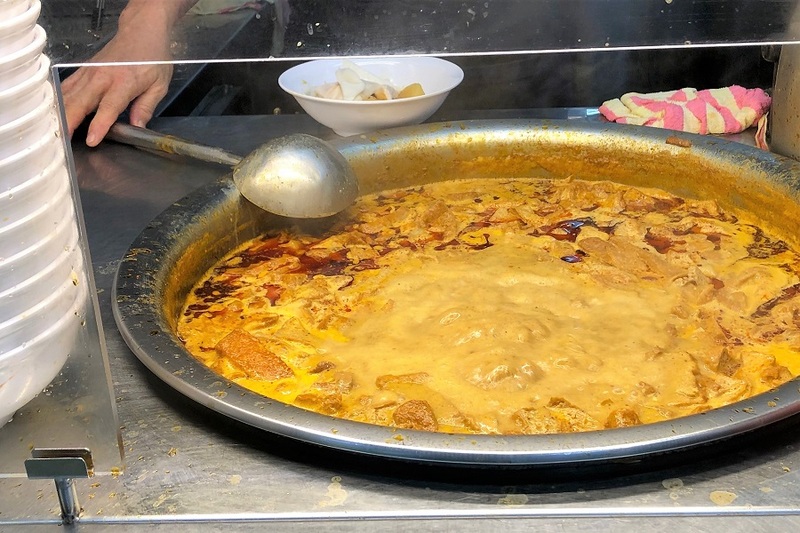 After the recent renovations of the food centre, I noted that Ah Heng Chicken Curry Bee Hoon Mee has taken over another stall space (there are 3 now), increased prices slightly by 50 cents, with a more prominent feature of “Michelin” that would attract curious tourists. 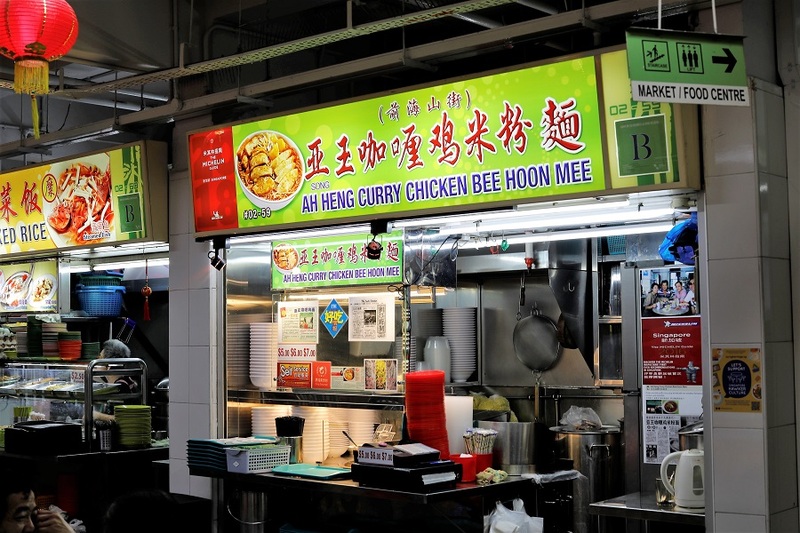 The lone item in Ah Heng’s stall is Chicken Curry Bee Hoon Mee ($5, $6, $7) available in different sizes. 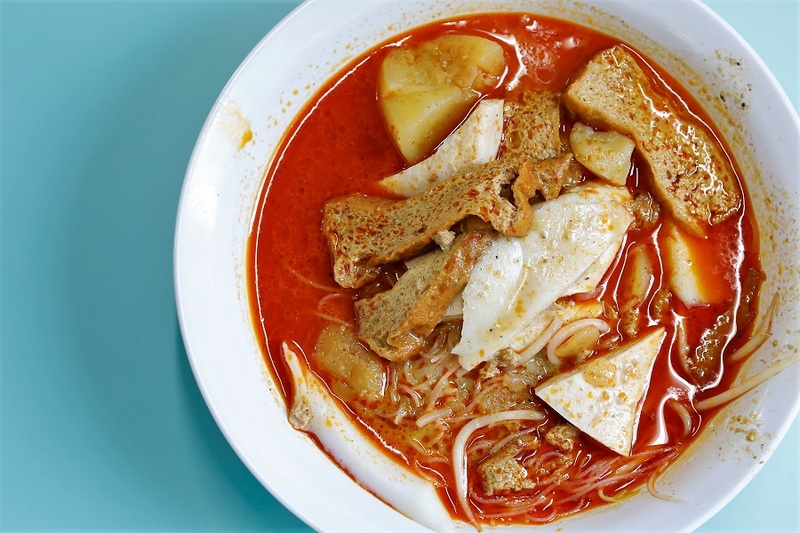 This dish is made with bee hoon (rice noodles) or yellow-noodles in a laksa-resembling curry broth, topped with ingredients like chunks of potato, spongy tau pok (fried bean curd), slices of fish cake, bean sprouts, and the main protein of Hainanese chicken. The poached chicken reminded me chopped Hainanese chicken which was tender, substantial in size, and still moist. My personal favourite part are usually the potatoes – soft, delicate, yet does not disintegrate within. 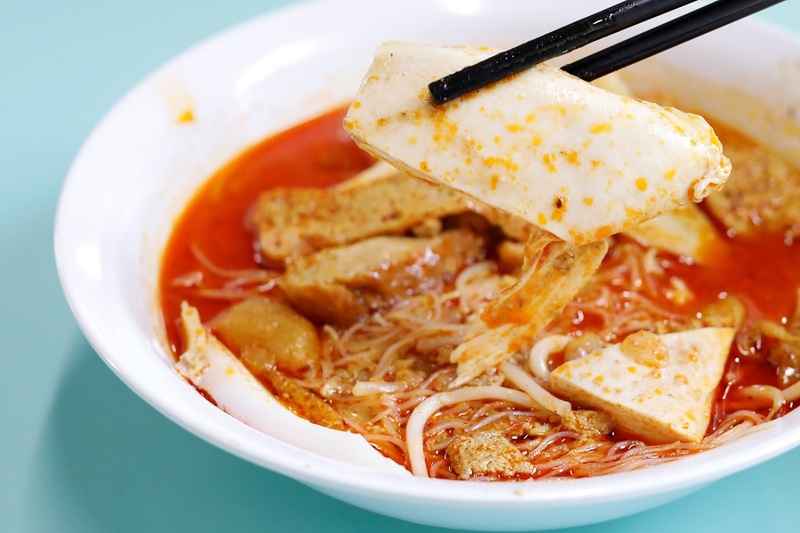 The noodles have a smooth, slippery texture so it is best to eat them with a soup spoon. 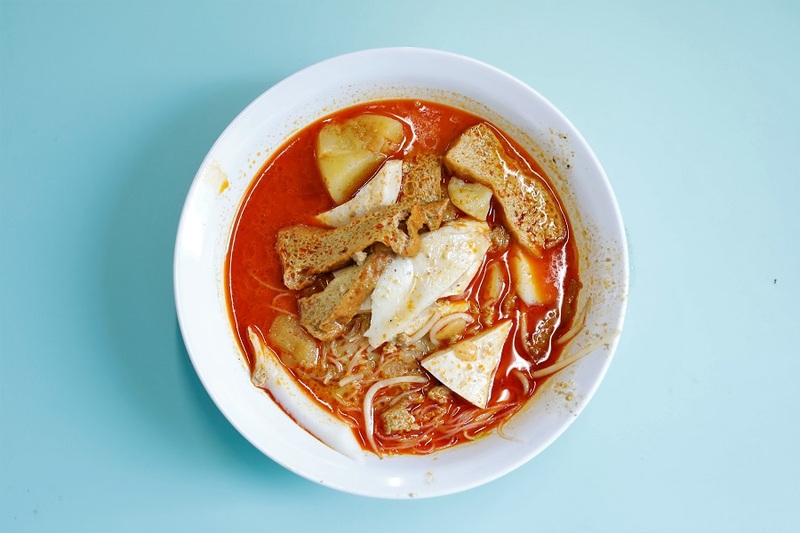 Served with a saucer of special sambal chili on the side. 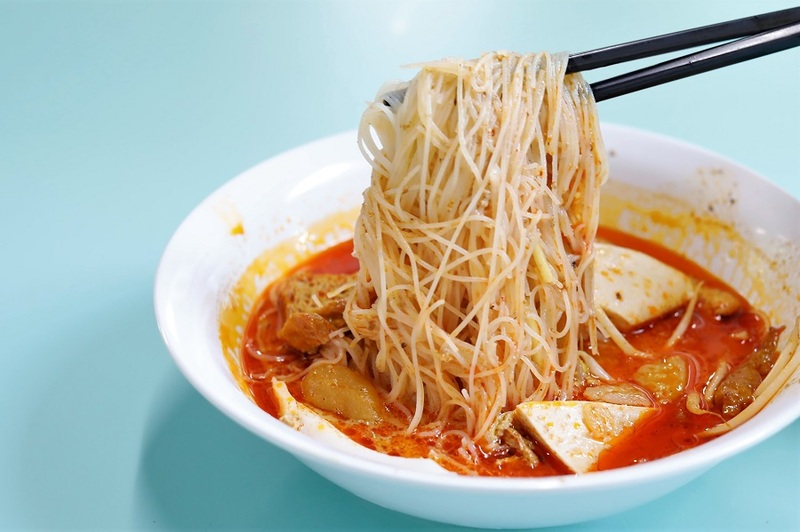 Typically, I would think that the yellow noodles would go better with the gravy, though bee hoon does not feel as heavy. 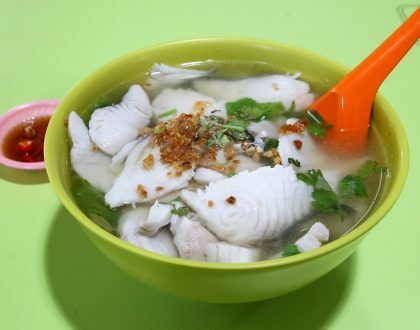 in terms of consistency, some diners may think that the gravy is more on the soupy side (or well, diluted) and can be more lemak (coconutty). 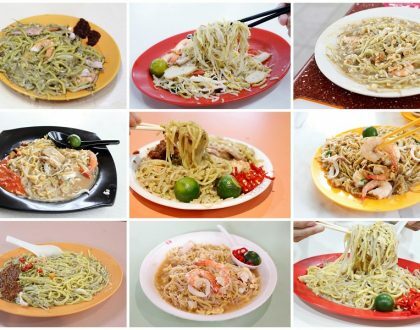 Expect long queues during lunch hours, but they are quite fast. 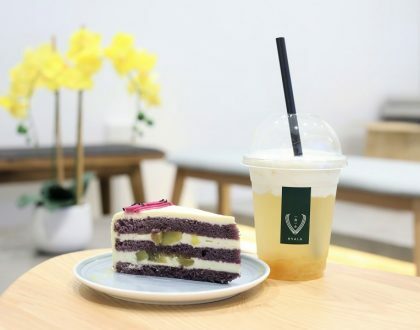 There is also another branch at 269B Queen Street, Singapore 182269.